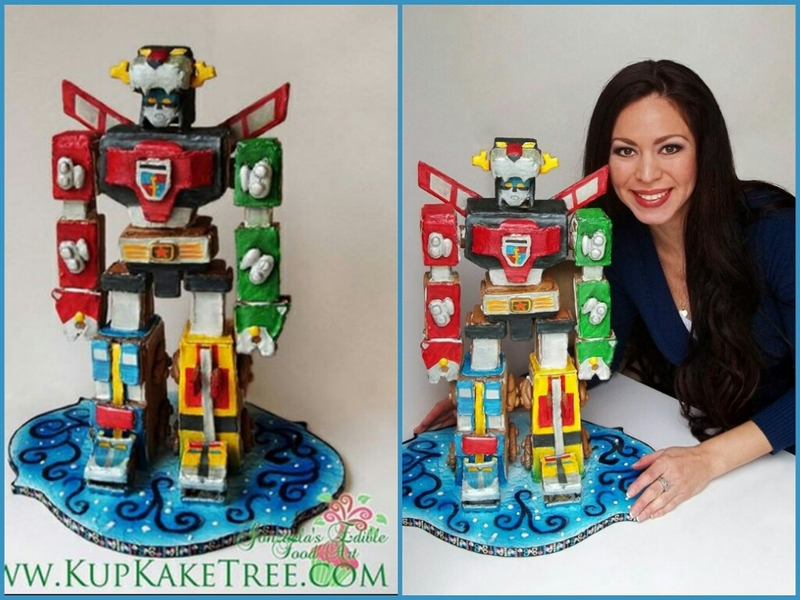 For this month’s blog post, let’s all welcome Voltron #KeithandAllura fan, Josette Melanson from Canada, sharing her amazing story about Gingerbread (GB) Voltron. 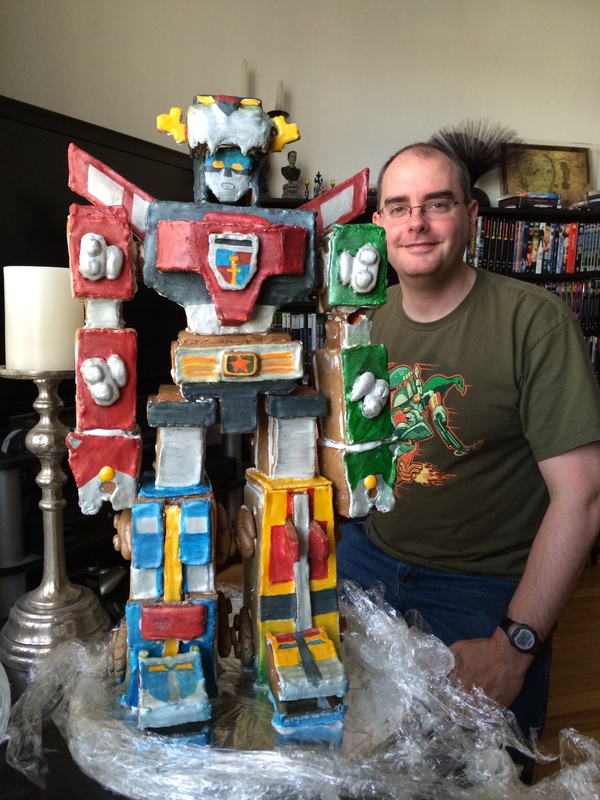 Right before Christmas, I stumbled upon a photo on Facebook and YouTube clip on how to make a gingerbread Voltron. This blazing, edible artwork was made by cake artist Gonzuela Bastarache. 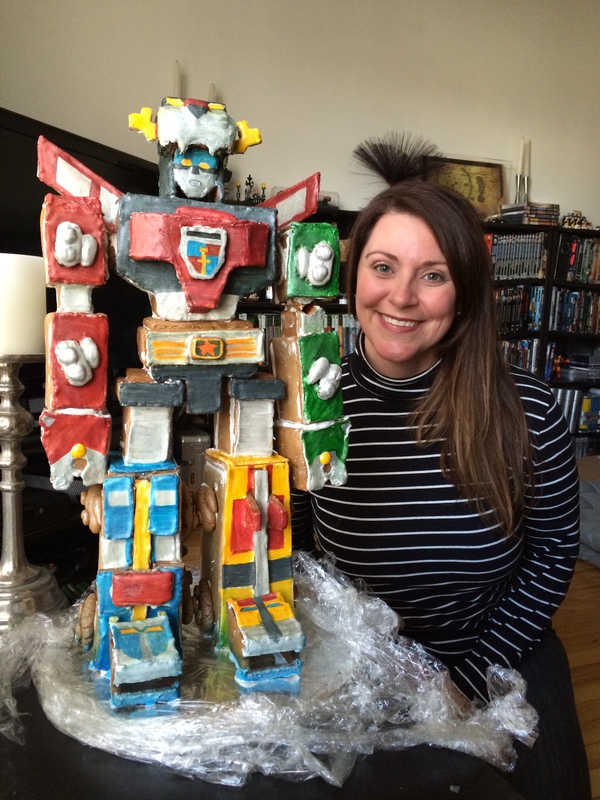 What surprised me about the talented and popular cake artist Ms Bastarache was that she also lives in my city of Moncton, New Brunswick. Located in east coast, Atlantic side of Canada, Moncton, known as ‘Canada’s polite and honest city‘, is a small city with a population of 146,000. 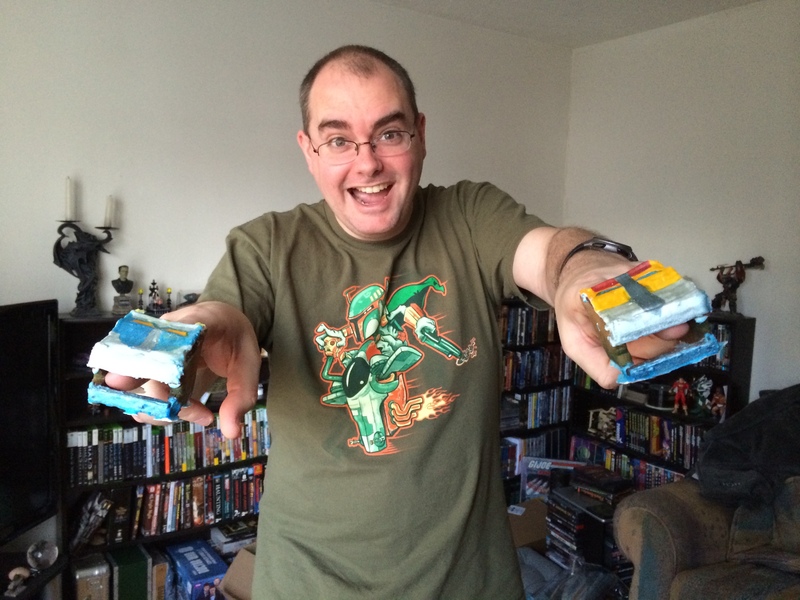 After the Christmas holidays, back at work, my dear friend and fellow Voltron fan Stephen, (who shared the Voltron prize Memorabilia) told me about GB Voltron. He mentioned that, like most edible, freshly-made baked goods having short shelf lives, a close friend rescued a very special gingerbread confection from being tossed out, and had it delivered it to his house. Stephen generously offered to share the gingerbread robot creation. It was love at first bite…er…sight. We were in complete awe! I mean, how could two people in little old Moncton be in possession to what we thought was the greatest piece of edible art? 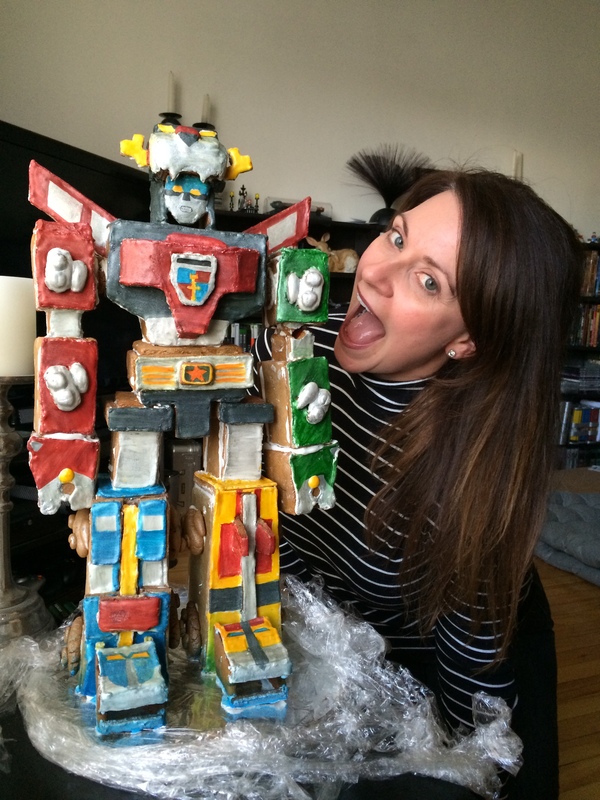 Even though I am pictured taking a huge bite of the mighty robot, I honestly could not bring myself to eat it. 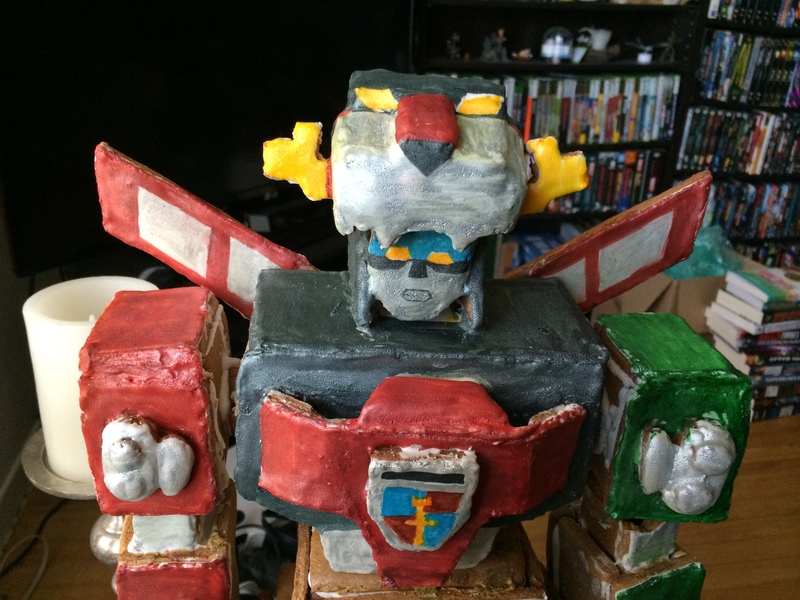 This is Voltron after all! Since neither of us had any room in our freezer to store the two foot gingerbread man without it falling apart, we resolved ourselves to the unevitable. But before discarding the now stale cookie, my friend gave me the head of my beloved Blue Lion as a keepsake. Best gift ever!